I did not spend as much time at CANJAM as I’d planned, [however. . .] I did spend enough time to soak in the hustle and bustle and good cheer that has become a hallmark of headphone enthusiasts. The crowd was mixed in every way, people were having fun, conversation was lively, and there was plenty of intent listening going on everywhere.  I enjoyed. . .CANJAM NYC 2019 and congratulate the CANJAM crew for another fine and well-attended show.